There is something incredibly charming about the English countryside. 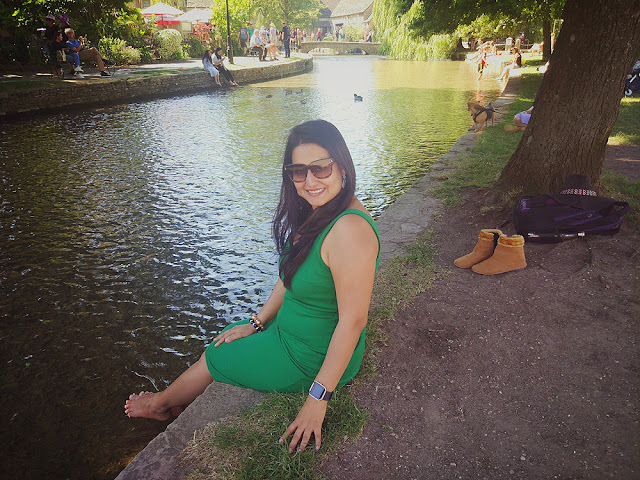 Quintessentially English, the countryside's quaint villages, winding streams, honey colored houses and stunning architecture have enjoyed an unwavering presence in English poetry. To admit that I have been fascinated by the idyllic villages since watching Pride and Prejudice and lately, Agatha Christie’s Poirot would be putting it mildly. 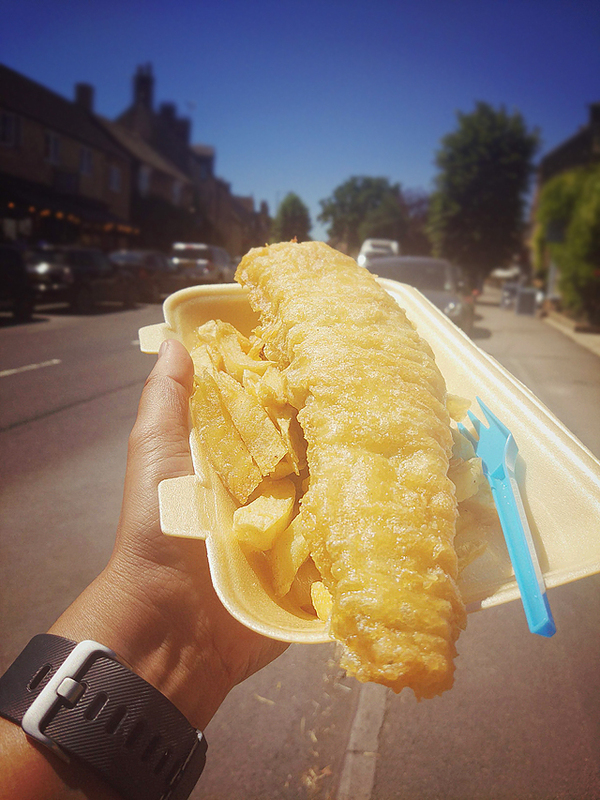 So on my recent trip to London, I reserved a day to enjoy a trip to Cotswolds, an area of outstanding natural beauty and to experience the real taste of its unique history and culture. Cotswolds region is formed by the associated six English counties of Worcestershire, Gloucestershire, Wiltshire, Oxfordshire, Warwickshire and Bath & North East Somerset. Located at an approachable distance from London, the region is a favorite tourist spot for locals and international travelers alike and considered as an representative of the archetypal English landscape. 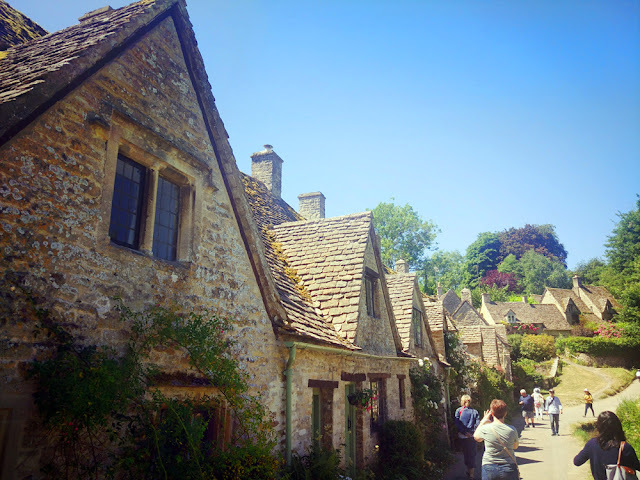 Medieval wool trade is majorly responsible for the prosperity of the region and houses built with Oolitic Limestone also known as Cotswolds stone lends an unique character to the idyllic villages. A typical Cotswolds house, farm building and church feature the honey colored stone and so do the dry stone walls that mark out the Cotswold hills. Also famous for Screen Tourism, where fans visit and stay near film locations, Cotswolds has been the chosen location for many films and TV series like Bridget Jones's Diary, Harry Porter and Philospher's Stone, Die Another Day, Pride and Prejudice, Agatha Christie’s Poirot to name a few. 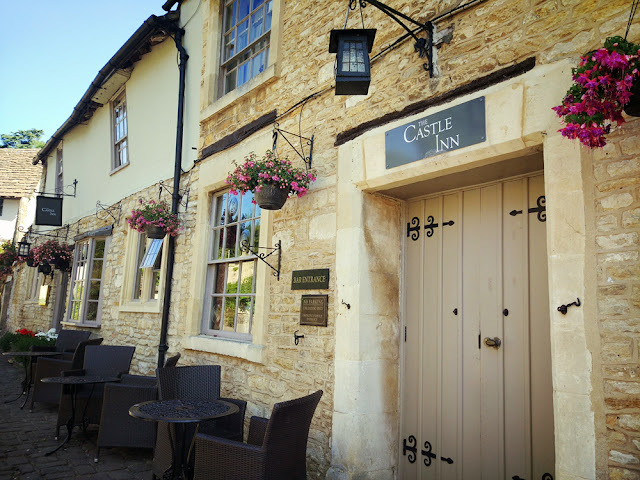 Though Cotswolds is full of attractions with pretty corners at every turn, if like me you have only a day, make the most of it by following my itinerary. We started from Bath Spa railway station at 9 am and returned at around 6 pm the same day. 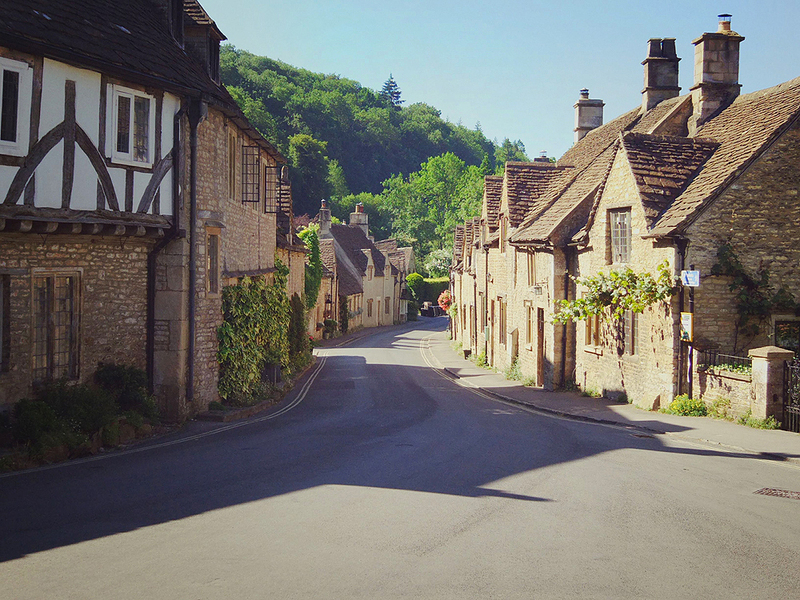 Start with the picturesque and prettiest village in England, Castle Combe. Located in north west Wiltshire, Castle Combe attractions include the old post office, market cross, St Andrew’s Church which dates from the 13th century, two pubs- White Hart and The Castle Inn, a tea shop and homes selling cakes outside front doors with honesty boxes. A luxurious hotel, Manor House offers comfortable accommodation if one chooses to stay back. 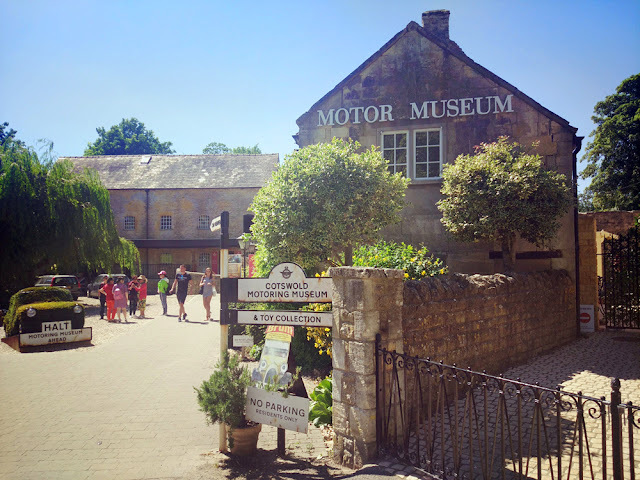 Racing enthusiasts can also visit the Castle Combe Circuit. 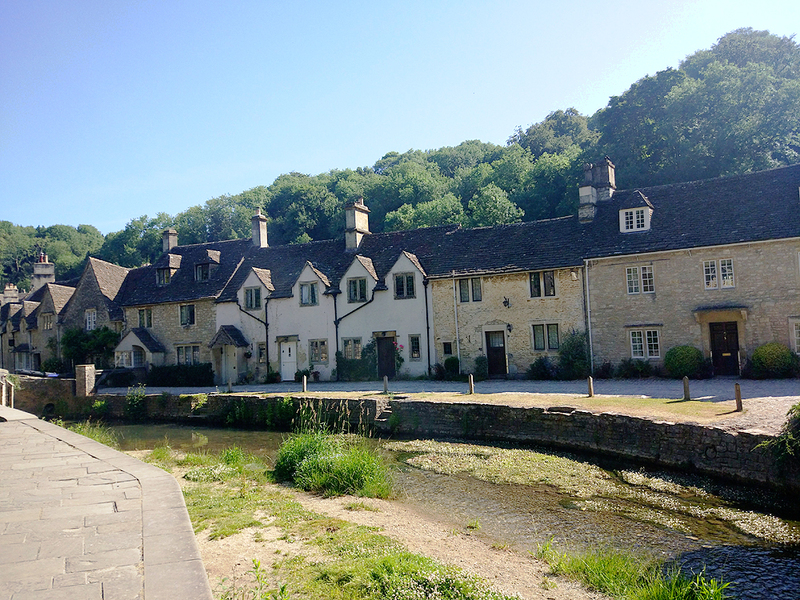 Walk around and soak in the beauty of Castle Combe's cobbled streets and pause to take pictures in front of weavers cottages. Next visit Arlington Row in Bibury, a village and civil parish in Gloucestershire located on both banks of the River Colne to witness seventeenth century weavers cottages. Enjoy scones with clotted cream or an almond and cherry cake with mug of hot coffee (like me) at Swan Hotel. 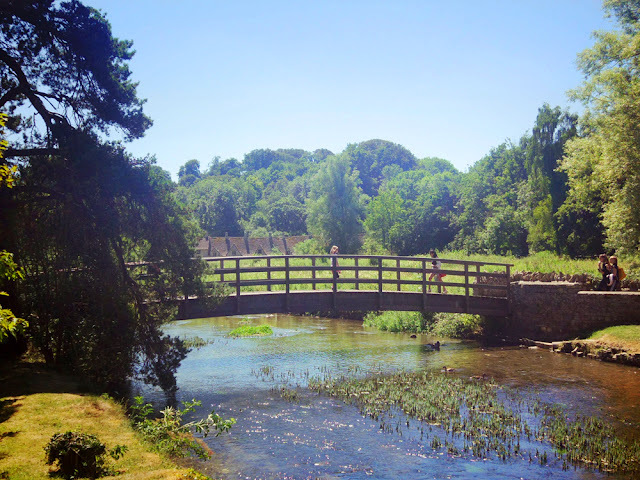 Little ones will love to visit Bibury Trout Farm. Rack Isle, a low lying meadow surrounded by the river Colne and Arlington Mill stream offers ample opportunity to wander around. It gets its name from wooden racks used to stretch the drying clothes produced at Arlington Mill. 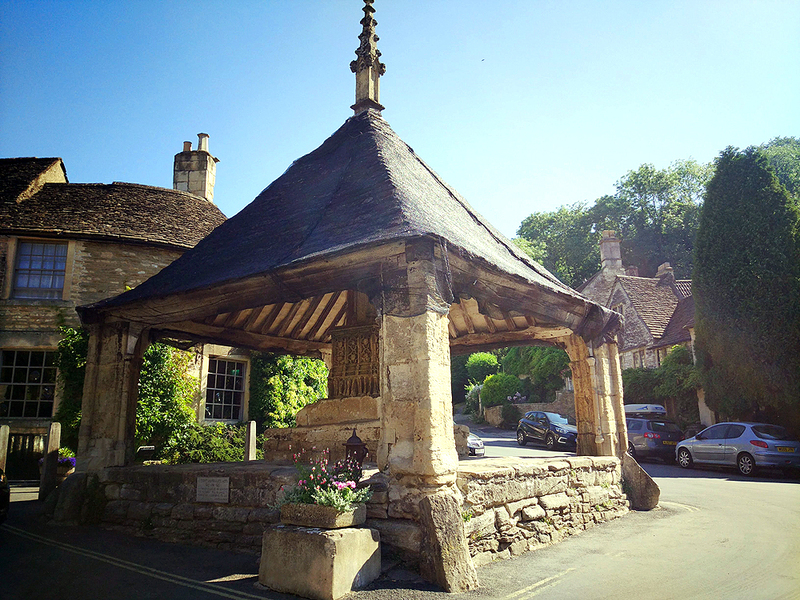 After approximately a 30 minute drive from Arlington Row, we reached Stow-on-the-Wold a delightful market town and our lunch stop. 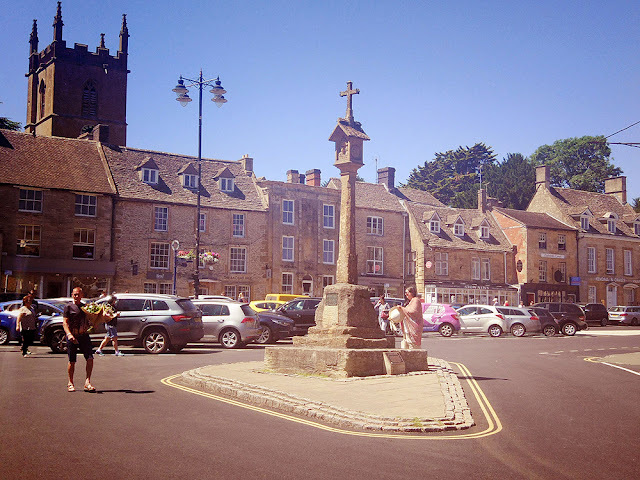 Poised at 800 feet, Stow-on the-Wold is the highest of the Cotswold towns. 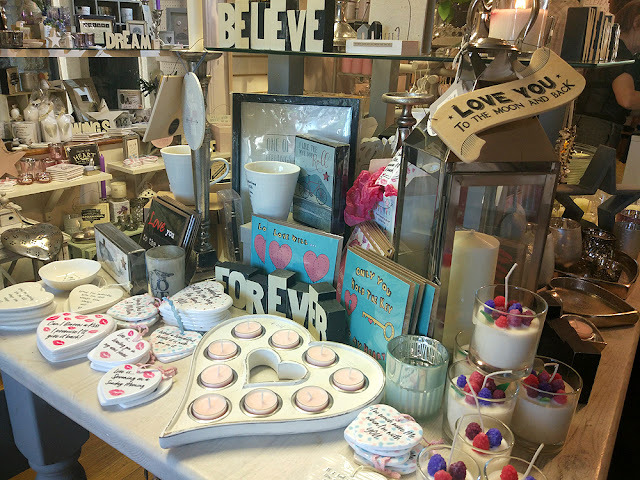 Walk around the huge market square and hunt for treasures in antique shops, galleries, independent boutiques, gift shops or rest your tired feet at one of the many restaurants, bistros, tea shops and pubs around. 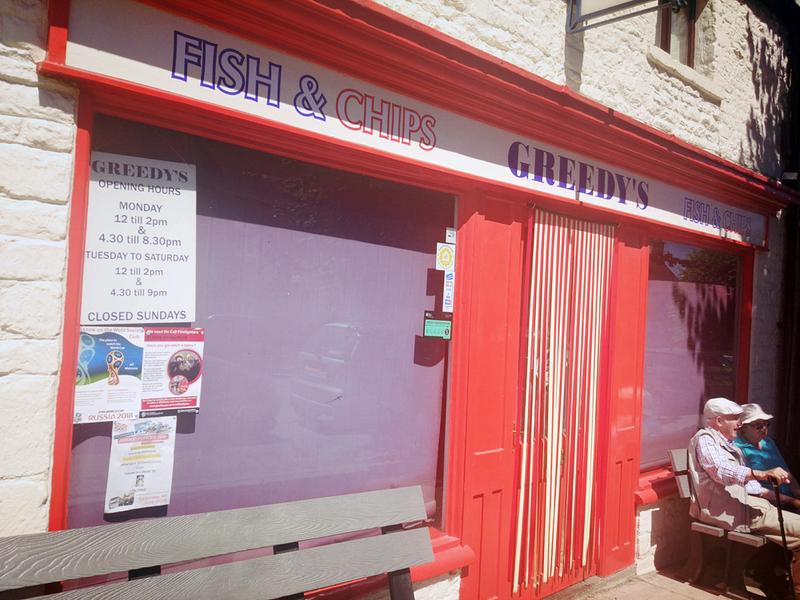 After wandering around and clicking pictures of the quaint market place, we settled down for lunch at Greedy's a traditional Fish and Chip shop a favorite of locals and visitors since last 23 years!!! Our next stop after a 20 minute drive was Bourton on the Water also known as the "Venice of the Cotswolds" with its five low stone bridges over the river Windrush that runs through the centre of the town. Wander around the picturesque high street and shop in independent boutiques which feature wollens, fragrant candles, souvenirs and more. Visit the Cotswold Motoring Museum that features the motoring history of 20th century, Bourton Model Railway Exhibition, The Model Village, Birdland Park and more. 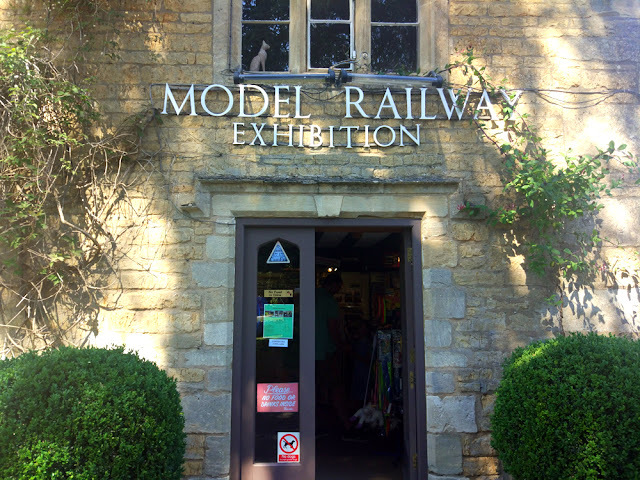 The last stop, Tetbury, located within the Cotswold district of Gloucestershire was a cheery market town. A historic wool town, Tetbury was an important market town for the Cotswolds wool trade and lies on the site of an ancient hill fort. 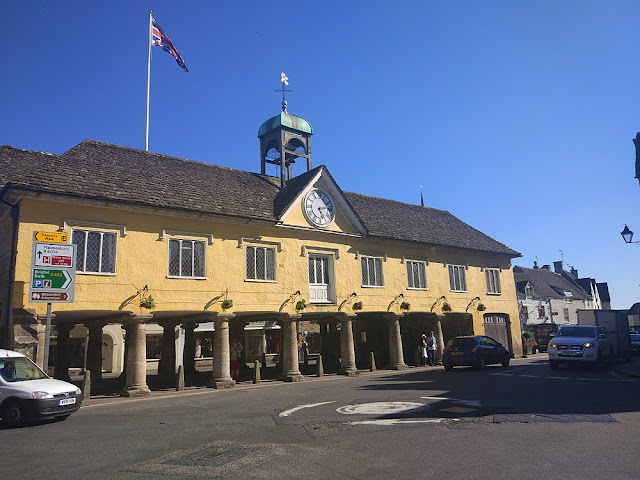 The pillared market house built in 1655 is still in use and do visit the late-eighteenth century Gothic revival parish church of St Mary The Virgin which also houses the Tetbury Heritage Display.